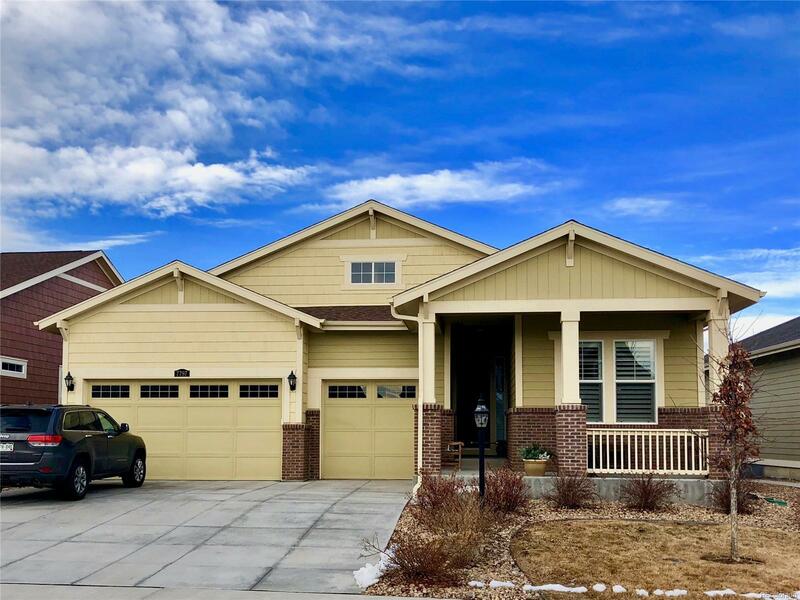 7797 East 149th Place Thornton, CO. | MLS# 9076366 | Tri-County Associates: Broomfield, Westminster Residential Real Estate. Treat yourself to this fantastic ranch floor plan! Backs to the 13th tee in the quiet and friendly Heritage at Todd Creek (55+ community). There are far too many features to name, including: a full walk-out basement (80% finished with 9ft ceilings); granite countertops in kitchen + master & basement baths; 10ft wet bar in basement family room; a private guest suite located off the main entrance with it’s own private full bathroom; an open kitchen with large island, walk in pantry, 5 burner gas cooktop and double oven. All kitchen appliances are stainless steel GE. The master bedroom is located at the far back corner of the house, allowing for complete privacy from the guest suite. Master also has its own door that leads out to the deck overlooking golf course. Master walk-in closet has custom built-ins, allowing for an organized space. Don’t miss out, come see it today!